It was finally time to get on the road again. The weather still isn’t very settled further south so you-know-who convinced us that we should explore the west coast some more. 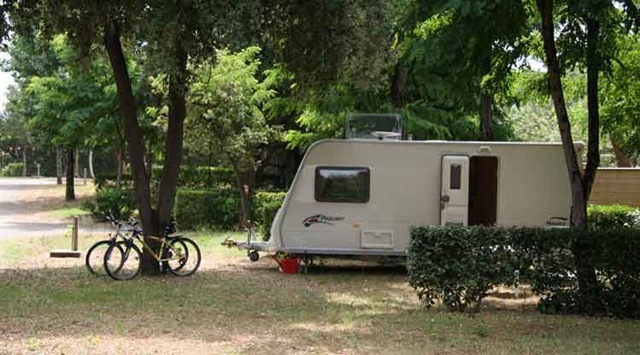 Carol had found a peaceful-sounding campsite near the coast at Longeville-sur-Mer and it would give us the opportunity to see the western end of the Marais Poitevin en route. The journey was all of 45 miles and we soon realised how good the area around Damvix and Arçais is, as the further west we got, the duller it looked. A flat, grey sky and the back-end of several seaside resorts didn’t help much mind you! The weather had brightened by the time we approached the campsite. It certainly is very peaceful and there are hardly any other campers, which is surprising given the proximity to the beach- a pleasant 1km walk through woods. We found Billy a nicely shaded pitch and got him set up before settling down to the remains of our previously-barbecued pintade (guinea fowl). After Damvix, the wildlife here proved a little disappointing – not much other than the odd jay, blackbird and chaffinch (of course). After lunch it was time to start exploring par bicyclette and put mon nouveau rayon (my new spoke) to the test. (Aside: To add to our second punctured car tyre, this is my third broken spoke in France – €17.50 this time. In future, I’m going to have to start budgeting for broken spokes and punctures.) The cycle route here runs just outside our campsite and it took us through the woods towards Longeville-sur-Mer. It had hills! We must have forgotten how to do those as they hurt. The signing was interesting around Longeville-sur-Mer and we seemed to go round in circles several times trying to get out. We did find a sign to cycle route 23 but, since our map only went up to 19, we decided to go off piste. The local marais looked promising but the birds seem to have decided that the weather wasn’t good enough to get airborne. We were cycling along through not very much, getting some strange looks from locals that seemed to say, "what on Earth are you doing here", when we happened upon a Union Flag fluttering in our head wind. 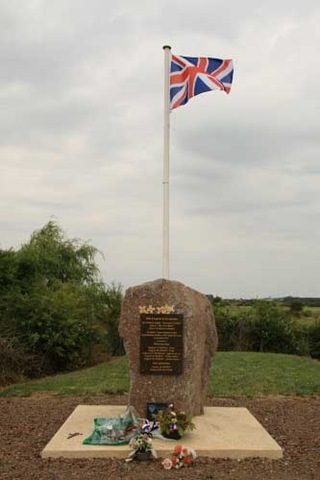 It turned out to be a memorial to a Halifax bomber crew, shot down in July 1941. I’m ashamed to say that I have forgotten all my scout training about getting a Union Flag the right way up. I’m not certain about this one. Carol did of course have to look at the sea at several places Even the coast looked relatively dull – long sandy beaches backed with sand dunes and little else. There were a few dedicated people braving a slight sand-blasting but it seemed that most people had decided the weather wasn’t good enough either. The weather cleared for the evening and Billy’s shaded pitch provided a very pleasant environment for an outdoor sausage-fest (sausages grilled on good ol’ George, once again, because charcoal barbecues aren’t permitted).